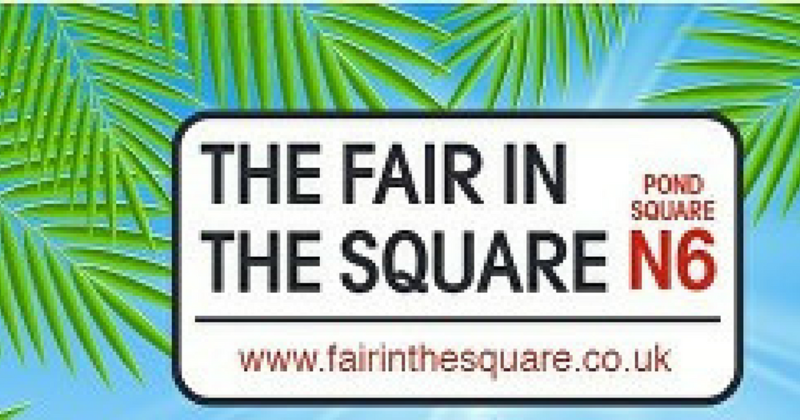 The Fair in the Square is an annual event with live music, children’s activities, stalls and entertainment for all. And this year, they’ve gone tropical! Better still, admission is free! The North London Friends of the Family Holiday Association will be selling quality donated items including jewellery, glassware, ceramics, unwanted gifts, scarves, etc. 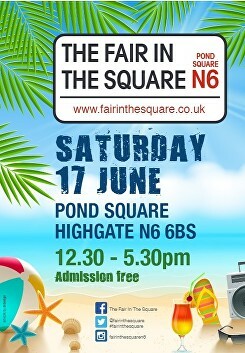 Located in and around Highgate’s Pond Square, two stages host local talent from Hornsey School for Girl’s Steel Band to amateur dancers & musicians. The cast from The Show at the Gatehouse will put in an appearance and there is always lots for the younger visitors to enjoy with traditional fairground rides and a creative play tent. Over 120 charities, societies, Highgate shops and small businesses take part every year. And there are lots of stalls serving an international selection of delicious foods!